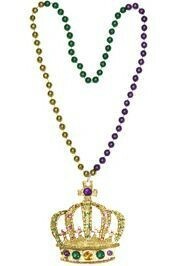 Crown beads and Crown necklaces help celebrate the King of every Krew. 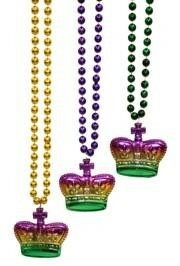 Crown beads and Crown necklaces help celebrate the King of every Krew. 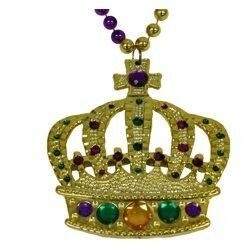 Most Crown Bead throws are metallic and some have doubloons and king cake baby decorations. These throws come is the traditional purple, green, and gold. The are sold as individual items, 3-piece packs, 2-dozen packs, and 10-dozen packs.